Stephen King's #1 in Entertainment Weekly's "The Best Books of 2012" List! 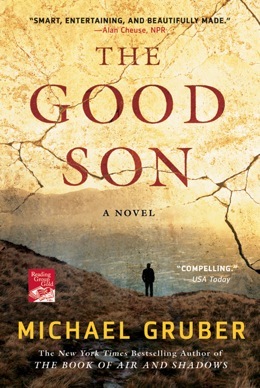 New York Times bestselling author Michael Gruber, a member of "the elite ranks of those who can both chill the blood and challenge the mind" (The Denver Post), delivers a taut, multilayered, riveting novel of suspense. Somewhere in Pakistan, Sonia Laghari and eight fellow members of a symposium on peace are being held captive by armed terrorists. Sonia, a deeply religious woman as well as a Jungian psychologist, has become the de facto leader of the kidnapped group. While her son Theo, an ex-Delta soldier, uses his military connections to find and free the victims, Sonia tries to keep them all alive by working her way into the kidnappers' psyches and interpreting their dreams. With her knowledge of their language, her familiarity with their religion, and her Jungian training, Sonia confounds her captors with her insights and beliefs. Meanwhile, when the kidnappers decide to kill their captives, one by one, in retaliation for perceived crimes against their country, Theo races against the clock to try and save their lives. For a limited time I'm going to be releasing the first 65 minutes of the The Good Son audiobook, shareable and downloadable, completely free. Purchase The Good Son online!